Very beautiful renovated and redesigned hotel . 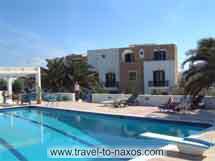 Our hotel Naxos Beach 1 is situated on the island Naxos, in the middle of the Aegean Sea � one of greeks surfparadises. 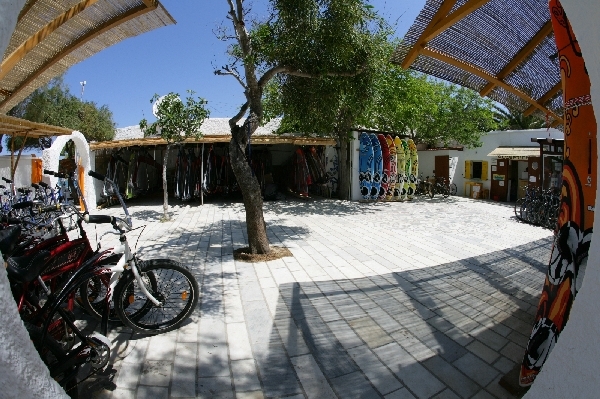 Find us in the south of Naxos city, only a few meters behind St.George's Beach and the Flisvos sport club. 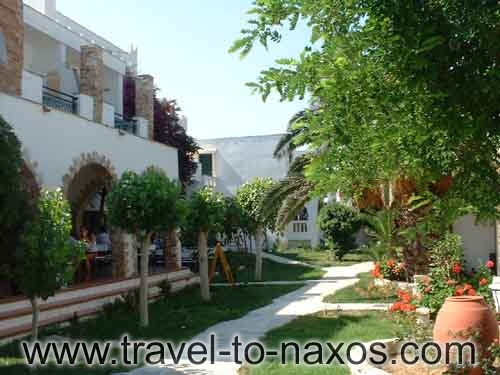 From the hotel you reach Naxos city with its nice Cafis, taverns and every quanlity of Nightlife in a 10 minute beach walk. We look forward to arrange you a pleasant and unforgettable stayIn the winters 1999 and 2000 the hotel was globally renovated and embellished, so that our guests feel better then ever before. 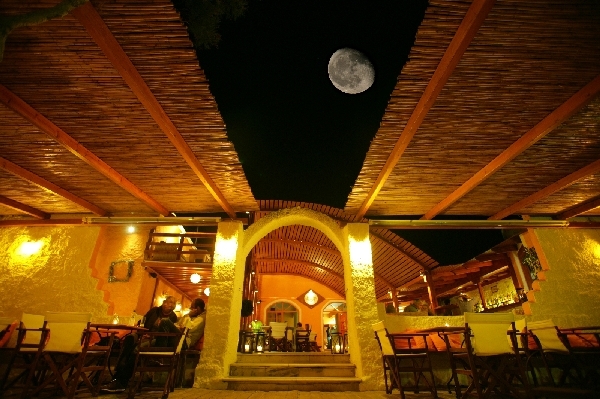 Enjoy the greek athmosphere and charm of the island and the hotel. Our swimmingpool with pool bar is perfect to enjoy a peacefull day in your holidays. Enjoy the breakfastbuffet with view into the beautyfull garden of the hotel, relax in a beach chair at the pool or at the beach, visit the Beach Cafi or the Bars and taverns of the city. 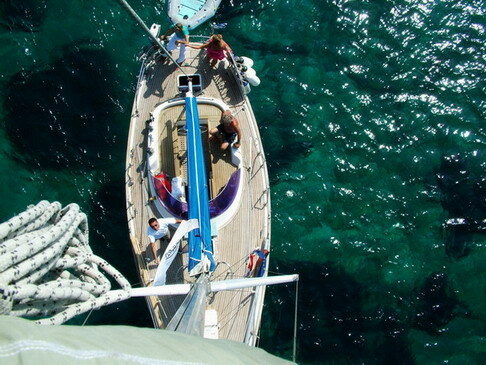 Plan your sport programm or discover the lovely island. 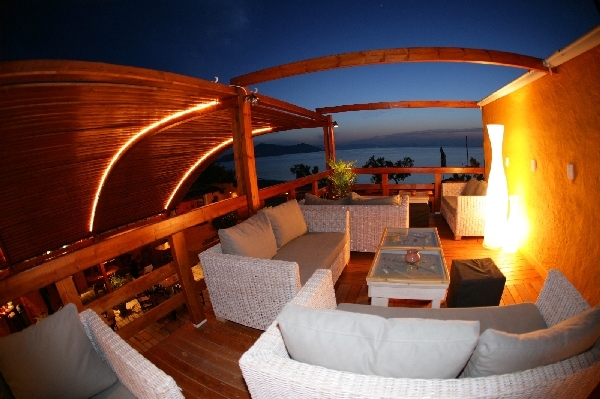 The hotel offers comfortable, in good taste created rooms with air conditioning system and private balcony or terrace. 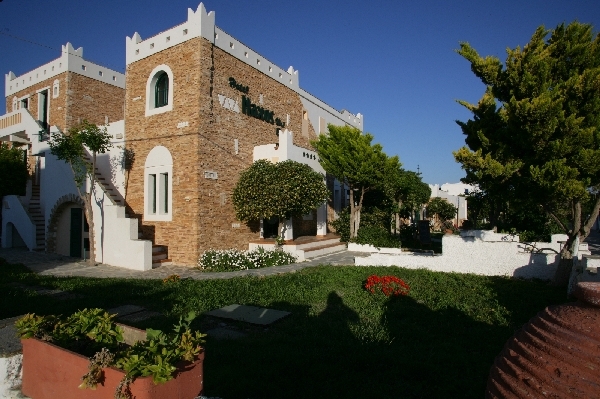 Beyond that each room is equipped with telephone, safe (� 1.00), television and refrigerator. If you should prefer it not to swim in the sea you can relax in and at our Swimming pool. 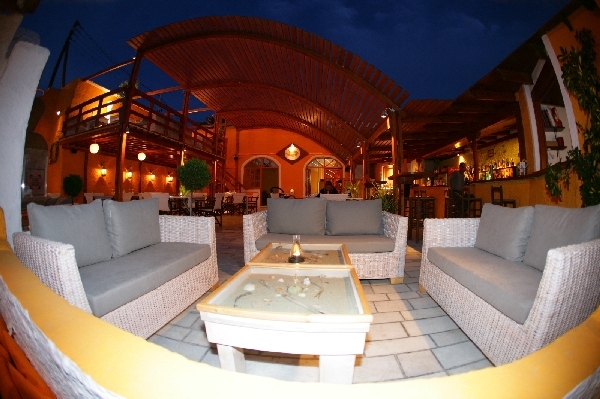 The hotel was renovated and redesigned in the tradtional cycladic style in spring and winter 2000. now there is a new swimming pool with a bar as well as nice gardens. 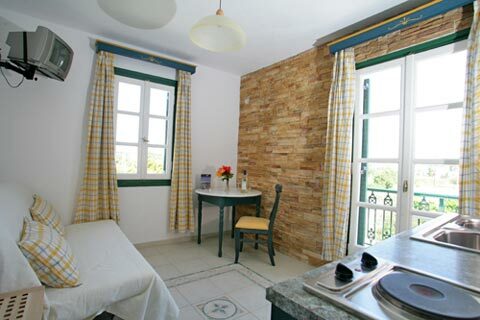 T he 59 rooms and 10 bungalows, all renovated and tastefully furnished, have private terraces or balconies and are equipped with air conditioning, refridgerator, TV, telephone, safe and mosquito nets. enjoy the beautiful view onto the gardens from the breakfast terrace.